← A gift that will change a life!! Regular exercise is one of the best medicines available. It should be a part of everyone’s weekly routine. 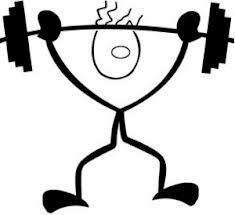 Regular exercise is linked to significant benefits in bone density, blood pressure, lean muscle mass and overall mood. Most of us interested in health know that exercise is important. But are nutritional supplements important for exercise? While supplements are not required, they could be very useful in many situations. Starting an exercise program can be very intimidating. Sticking with a program can be even harder. Muscle cramps that come with early conditioning can further compound the problem. Good sleep and proper nutrition are part of the equation for any fitness program. Sleep is a must not only for energy the next day but also because that is when the body repairs itself. The body needs healthy sources of protein as well as good fats to maintain energy and bone and joint health. Certain vitamins and minerals may help lessen cramps in the muscles and aches in the joints. These supplements might be worthwhile for the beginner athlete ready to get back in shape and also for the exercise veteran who drops a lot of minerals through sweat loss. Magnesium. 250-500 mg (or more if cramps continue) can be taken in divided doses, with meals. Magnesium can help improve strength training in those who are new to a program. Potassium. This vitamin is found in many fruits and vegetables. Regular produce intake of 6-7 servings a day might be all that is needed. If cramps continue, add 100-200 mg of additional potassium. Patients with kidney failure should not supplement with potassium. Vitamin D. This vitamin is included because vitamin D has so many health benefits. 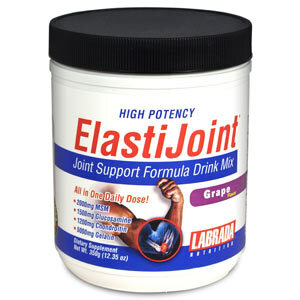 In particular, it is needed for good bone density, which is in turn needed for healthy joints during exercise. Recommended dosage is 1,000-2,000 IU daily. CoQ10. This is an antioxidant that might help quench free radicals that form during exercise. It is like cleaning up the ash after a log burns. Like vitamin D, CoQ10 is good for many other things and arguably worth taking for many reasons. Recommended dose 50-100 mg daily, with food. There are a few more supplements to consider if you’re wishing to enhance your workout routine. Research is still very new in considering supplements that might actually improve exercise performance. There are some nutrients that have gained attention for varying degrees of benefit without workout routines. The following recommendations come with the above suggestions. Creatine. This powder is widely used by various types of athletes up through the professional level. Reviews of creatine are mixed and some are skeptical of its overall benefit. Clinically, creatine does seem to help with gains in the gym but these gains can be lost if creatine use is discontinued. Research does say that creatine may help the body recover after initial exercise and may further benefit later exercise sets. The appropriate dosage is 1-2 g of powder mixed with water daily. D-ribose. Ribose has gained much attention as a vitamin used for heart failure and fatigue. It can be a very good idea for those with a history of heart problems who are trying to improve their conditioning. The dosage of ribose is 5 g taken 3 times a day. In well-trained athletes, ribose has shown little benefit in smaller dosages. Conditioned athletes may need the full dose to see any effect. Ribose is well tolerated and appears very safe. absorbed. Because it is so well absorbed, whey is useful after workouts to help replenish the body while the muscles try to repair themselves. Whey protein comes from milk, so the healthier the cow, the better the product. Look for brands that do not use growth hormones in their cows. Even better, are versions that come from grass-fed cows. Resveratrol. Resveratrol’s benefits include help with blood sugar, inflammation and longevity. It may or may not benefit exercise directly, but like CoQ10, it might aid in healing the body after workouts. It can be particularly helpful for those with a history of heart disease, diabetes or cancer. Dosage is 20 mg daily. Patients with a history of heart disease, diabetes or fatigue may need to have certain hormone levels that could affect their exercise ability checked. Low thyroid or testosterone levels can play a major role in fatigue as well as muscle pain. If fatigue is slowing your desire to exercise, discuss options to test hormone levels with your physician. Always discuss new supplements with your doctor and discuss how they may affect you. Exercise benefits the body in countless ways. Optimal health requires your commitment toward activity and living a healthy lifestyle. Choose an exercises you enjoy and make exercise a weekly routine. Work with an expert in Fitness Training and Supplementation to minimize spinning of your wheels.